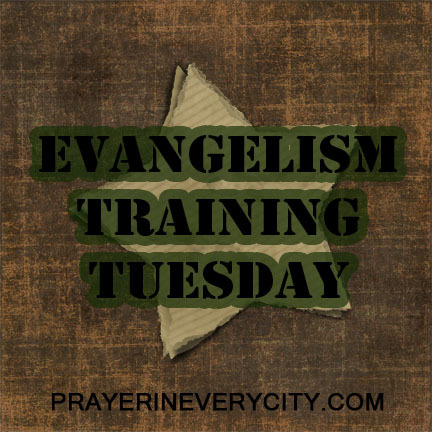 We have learned how John the Baptist, Jesus, Peter and Paul preached the gospel during our study on evangelism. There is one more method of evangelism that I want us to look at this week. We will learn how to give our testimony based off Paul’s testimony in Acts 26. I have heard people really emphasize giving one’s testimony when witnessing because they say that no one can argue with your testimony. Although this is true, I don’t want you to think that the power of the gospel message is in your testimony. The power of the gospel is in the message itself. “For I am not ashamed of the gospel, for it is the power of God for salvation to everyone who believes, to the Jew first and also to the Greek. For in it the righteousness of God is revealed from faith to faith; as it is written, “BUT THE RIGHTEOUS man SHALL LIVE BY FAITH” Romans 1:16-17 (NASB). Out of the eleven evangelism examples in the book of Acts, only Paul gives his testimony one time. Ask God for discernment for the best way to witness to someone. Scripted approaches to evangelism can seem fake, so use different methods in your evangelism. Next week, I will give you a summary of what we have learned along with scripture verses to use. I recommend memorizing the verses so you can be led by the Holy Spirit in how to use them best. Read Acts 26:1-23 to learn how Paul told his testimony to King Agrippa. In verse 3 Paul begins by complementing King Agrippa. It never hurts to begin your conversation with flattery to get the attention of the person you are witnessing to. Make a list of a few complements you can give people so you can use this approach. If you are at their house, complement their home or yard. You can complement what they are wearing. You will want to begin your conversation in the natural realm, but then do what Jesus did when speaking to the Samaritan woman in John 4 and switch to the spiritual realm. In verses 4 – 11, Paul tells what his life was like before he was saved. He begins with his youth and includes his hostility towards Christians. Paul has a very interesting testimony because of his persecution of the Christians. Many of us don’t have such an interesting testimony. If you grew up in church, you were most likely saved during VBS, Sunday School or led to the Lord by your parents. If you were saved at a young age, you may not have the “hell on wheels” testimony as some do. Don’t be discouraged if your testimony is not as colorful as Paul’s. You still have a conversion story to tell. In verses 12-18, Paul tells of his conversion experience on the way to Damascus. Again, your conversion story may not be as dramatic as his, but you can still tell your story. Explain how you came under conviction, before accepting Christ. In verses 19-20, Paul tells what his life was like after salvation. In verse 20, Paul gives the gospel message. He tells King Agrippa that one must repent and turn to God, performing deeds appropriate to repentance. In verse 23, he says that Christ suffered and rose from the dead, which is the gospel message found in 1 Corinthians 15:1-8. So even though Paul tells King Agrippa his testimony, he still includes the gospel message. Summary of how to give your testimony when witnessing. 1. Tell what your life was like before you were saved. 2. Explain how you were saved. 4. Present the gospel message. Next week we will wrap up our Revival Boot Camp. We will conclude with detailed witnessing tips along with scripture verses.